Railway Recruitment Boards Recruitment 2014. The RRBs Recruitment Notification issued for 26567 Assistant Loco Pilot, Technician Category Posts. Applications are invited by RRB's from Eligible Candidates for ALP, Technician Posts by the concerned RRBs, through Ordinary Post or or before 17th Feb 2014 in the prescribed format. The Date of Written Exam may be on 15th June 2014. Excellent opportunity for un-employed to get a Railway Job. Candidates are advised to submit Single Application for the Posts under One RRB of their Choice as per their Educational Qualification. The Lower and Upper Age Limit will be reckoned as on 1.7.2014. Age Limit is 18-30 Years. How ever the upper age limit is relaxable 5 Years for SC/ST Candidates, 3 Years for BC Candidates. Diploma in Mechanical / Electrical/ Electronics/ Auto Mobile Engineering recognized by AICTE in lieu of ITI. Candidates with Higher Qualification in Mechanical / Electrical/ Electronics/ Auto Mobile Engineering Trades are also eligible. Matriculation plus course completed Act Apprenticeship/ ITI approved by NCVT/ SCVT in the trades of Electrician/ Electrical Fitter/ Wireman/ Electronics/ Information Technology/ TV & Radio/ Instrumentation/Computer/ Computer Networking etc, 10+2 with Maths/ Physics, Diploma in Engineering in Electrical/ Electronics/ Microprocessor/ etc for their corresponding Technician posts. No Exam Fees for SC/ST , Ex-Servicemen, Persons with Disability, Women, Minorities, Economically Backward Candidates annual family income less than Rs.50,000. 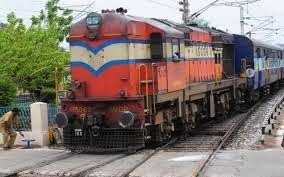 All Other Candidates have to pay Rs.40 for Asst Loco Pilot Posts or Technician Posts. Candidates should send separate application for each RRB. Exam fee should be paid in the form of Demand Draft or Indian Postal Order to be drawn in favor of Assistant Secretary or Secretary or Member Secretary or Chairman of Railway Recruitment Board concerned as mentioned in notification. Applications should be in the prescribed format in A4 Size Paper. Candidates Name, Address with Pin code, Mobile No., AADHAR No., Date of birth, fathers name, Nearest Railway Station in Bold Capital Letters on the Application Form. Application for the Posts of ____________ Category No’s___________ Centralized Employment Notice No____________ & Community____(SC/ST/OBC/PWD/EX-SM) should reach by Ordinary post to the Railway Recruitment Boards concerned as mentioned in notification so as to reach on or before 17-02-2014 up to 17:30 hrs. Selection will be based strictly only as per the Merit in the Written Exam going to be held on 15th Jun 2014. The Standards of the Questions will be in conformity with Educational Qualification. Question Paper will be in Objective Type containing the General Awareness, Arithmetic, General Intelligence, Reasoning. Duration of Exam is 90 Minutes. Negative Marking for Wrong Answer @1/3 marks. Last Date to Apply is 17th Feb 2014. Written Exam on 15th June 2014.